There are a few guest hotel rooms available at the ground floor and second floor of the Hale Manna House. The ladies of Oceana Philippines were checked into these rooms. 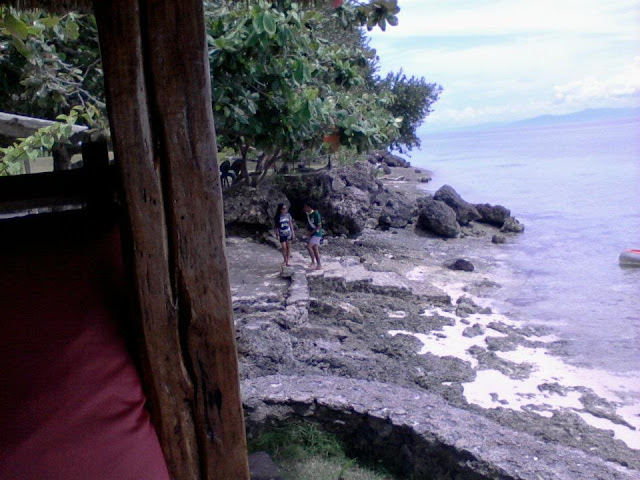 We roomed in with the men at the Barkada Bungalow just beside the Hale Manna House. Room rates range between PhP 3,250 to PhP 9,750 per night. If you wish to get some mental and physical exercise, a billiard table is available inside the Hale Manna House. Sadly, many of the cue sticks are already broken. Our meals were served at the terrace of the Hale Manna House. We actually had an option to have it served at the function hall with a bar near the beach. But since our activities were done at the Hale Manna House, it was more convenient to just serve it there. 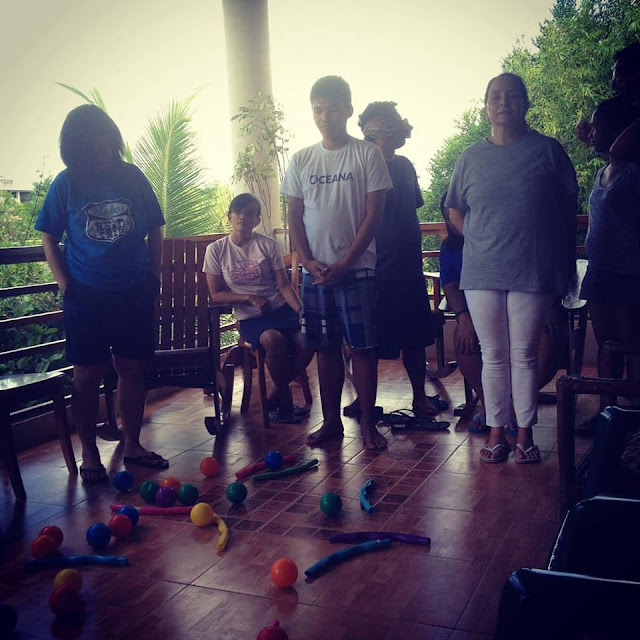 We did most of our activities at balcony of the second floor of the Hale Manna House. It was wide enough to accommodate all fifteen of us. But bigger groups may have a problem with such small space. Our afternoon session on the first day of the training were spent at the open air function hall with a bar near the beach. The hall can accommodate around twenty persons in a classroom setup. But since we were doing dynamic play-based activities, we had to move out to the lawn outside the hall. Hale Manna does not have a long stretch of beach. The sand cover also depends on the season. Also the coast is somewhat rocky with some sea urchins. We were urged to wear beach shoes when wading on the waters. Several beach huts are found near the beach. You can use these huts to have a massage, as a space for meditation, or to simply just rest under the stars at night. Golfer wanna-be's can start with putting practice at Hale Manna. They have a putting hole with a sand trap feature. 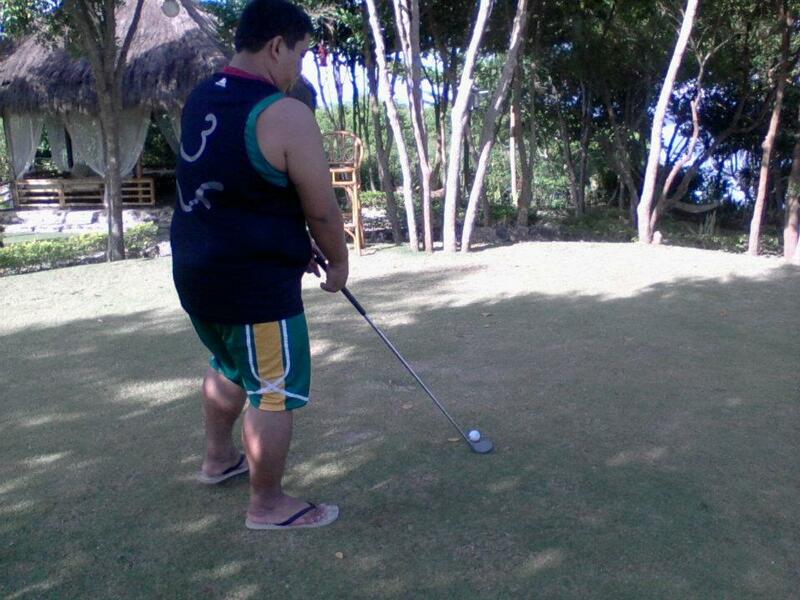 I had a lot of fun pretending to play golf. Hale Manna recently completed their swimming pool. It uses seawater pumped in from the sea. This makes its own contribution to help solve the persistent water shortage problem in Moalboal. You may use the kayaks and snorkeling gear at Hale Manna without additional charges. 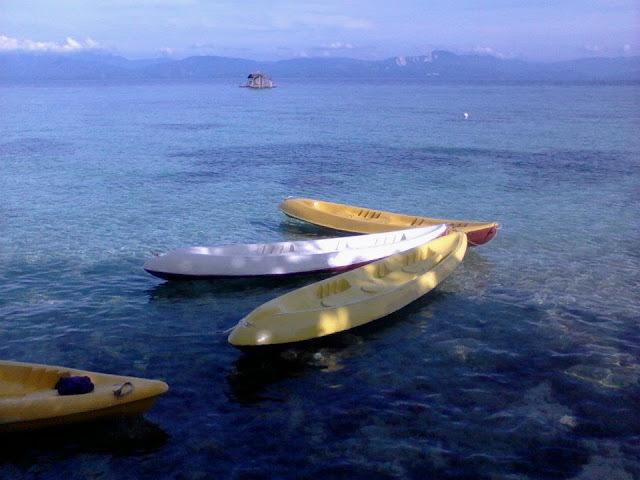 You may use the kayak to go to the public beach of Saavedra or Basdaku or to get to the floating raft near the coral gardens when the tide is high. 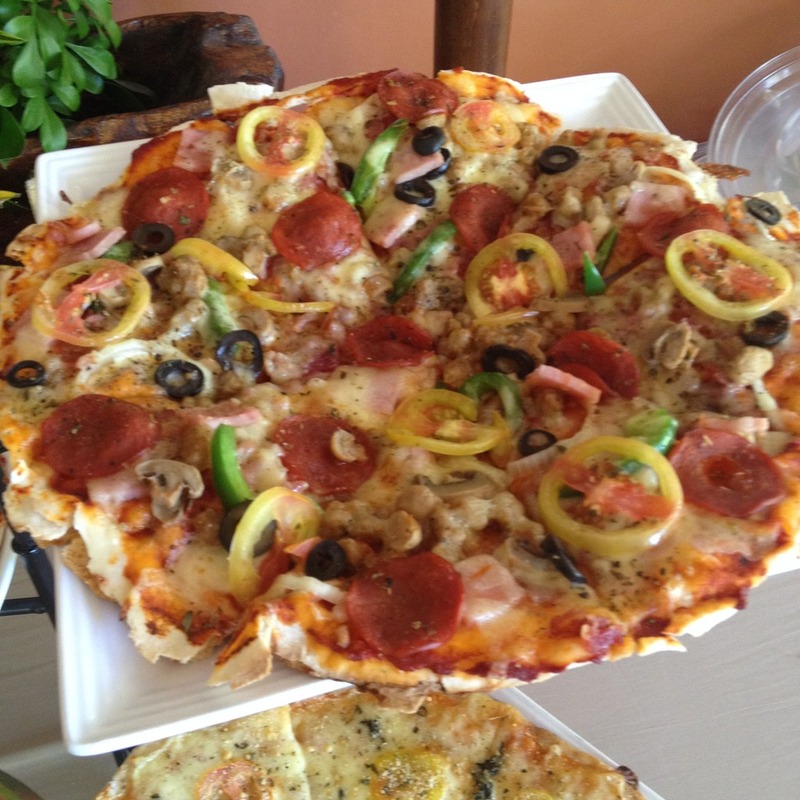 Cost for buffet lunch for groups of ten or more is pegged at PhP 350 to PhP 425 per person. A la carte meals are also served with prices ranging from PhP 180 to PhP 295. The menu at Hale Manna is a fusion of comfort food and healthy food. We had at least five meals. lechon paksiw, dinuldog, and garlic shrimps were served for lunch on the first day. Day 1 dinner featured chicken curry, fish soup, and a few other dishes I cannot remember anymore. We had familiar Filipino breakfast favorites for the first meal on Day 2. There was pork tocino, corned beef, kinamatisang daing na isda, and tortang talong. Day 2 Lunch had an Italian theme. We were served Handuraw Pizza and a few pasta dishes. Pizza varieties were pepperoni, Hawaiian, pesto cheese, and vegetarian pizza. For pasta, there was carbonara and spaghetti. Fish fingers were also served. We also enjoyed their homemade ice cream with mango and guava flavors. Day use at Hale Manna costs between PhP 175 to PhP 450. Day use guests may also choose to rent the beach huts with prices ranging from PhP 700 to PhP 2,000. During my first visit several years ago, I thought the place was also called coastal gardens because of its well-manicured lawns. But during my latest trip, I realized that was not the only case. The coastal gardens also refer to a beautiful coral garden a few meters off shore teeming with abundant marine life. Our team building program participants from Oceana Philippines snorkeled on the waters atop the coral gardens and saw some sea turtles in those two days that we were there. A floating raft was also put up by Hale Manna near the coral gardens where shallow waters meet deep waters that are about 30-40 feet in depths. No wonder Moalboal is among the more popular diving destinations in Cebu. There is much to see in the underwater world a few meters away from shore. This marine reserve is known as a place where one can witness a sardine run. Sightings of tortoises are also common here. 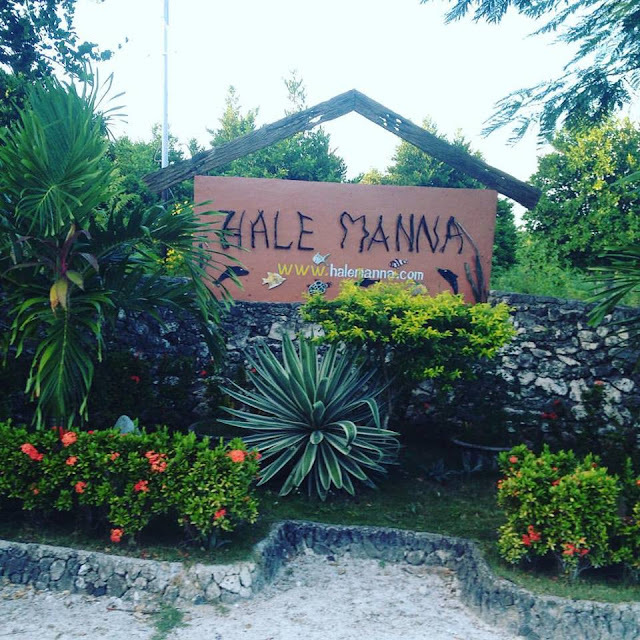 Have you been to Hale Manna Beach Resort in Moalboal, Cebu? How was your experience? We'd love to hear about it. You may tell us in the comments below.